Stories, stories everywhere! 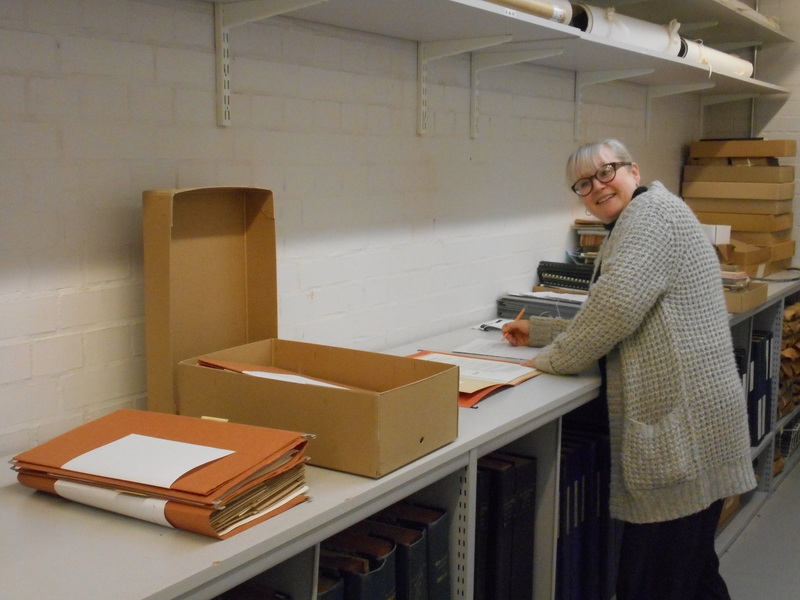 Sharon working with boxes and files in the archive. A few years ago I decided to embark on a career change … at the grand old age of 49 and a half! I wasn’t especially unhappy where I was, just unfulfilled, keen to try new things and acquire knowledge and experiences. They say the dream job is somewhere between what you love to do and what they will pay you do so, I decided that archivist was the job for me. Three years and lots of learning later, I have just started work as the archivist on the new Warwickshire Bytes project, which will provide new experiences by the bucketload, for me, for Warwickshire County Record Office, and for the team of online volunteers we hope to recruit. I started my professional life as a newspaper reporter and my love of finding and hearing stories has never diminished. The archive is full of people’s stories, the lives and events which form the history of Warwickshire – but that story is not over, and the Warwickshire Bytes project hopes to collect your stories to tell the people’s history of the county. Over the course of the next year or so we will be getting out and about around Warwickshire, ready to hear tales of life in the county. Do you have a story about living in Warwickshire, or one that your parents or grandparents told about life in the old days? Eventually we hope to have 100 amazing tales to celebrate in an innovative digital heritage festival. The project will also be venturing into new territory by recruiting ‘virtual volunteers’, who will work from their home PCs with digital images of archive materials to create a searchable online databases for use by researchers around the world. The County Record Office has many wonderful volunteers who work in the office using original documents, but we can only accommodate a small number each day. We can welcome any number of volunteers online, and hope that a big team of recruits will enable us to tackle bigger projects than ever before and open up our collections to wider audiences than ever before. So if you are looking for a new challenge or are keen to learn new things about your local history, get in touch with the team at Warwickshire Bytes to find out how to get involved. It’s never too late for a second bite of the experience cherry!